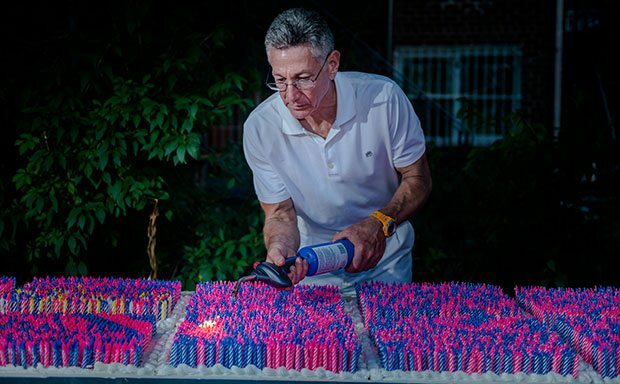 A new Guinness book record has been set in the US for using 72585 candles on the birthday cake. This world record is created by members of Sri Chinmoy Center on occasion of Indian spiritual guru Chinmoy 85th birthday. 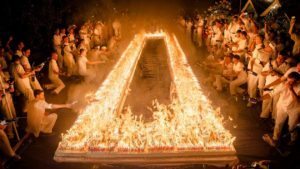 The members of the center have lit 72585 candles, and it burned for about 40 seconds, ensuring that the previous record went up in flames. At Chinmoy Center in New York, they conducted this event. A team of 100 people worked together to make the cake, individually place each candle and then light them with 60 blowtorches. Sri Chinmoy Center in New York is offering free meditation classes from last 50 years. So on occasion of Guruji birthday, his disciples planned this event. The previous record for the most candles lighted on a cake was achieved by Mike’s Hard Lemonade in Los Angeles, California in the month of April, with a total of 50151 candles. Now Chinmoy mission people break off the record by lighting 72585 candles.